Yesterday I had the privilege of making the trip over to Paper Co Coffee, my old stomping grounds. Well, sort of. I used to work there some years back, sort of. When I worked there it was called Taft Street Coffee. 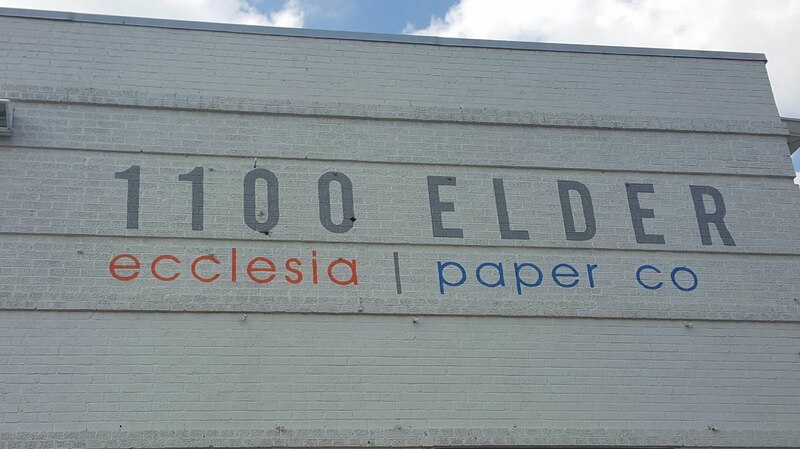 Paper Co Coffee is located inside of a church in Houston called Ecclesia. For many years their home was at 2115 Taft Street. I worked in the coffee shop and music venue for a few years back in the early 2000's. Now located in the First Ward, all proceeds go towards assisting the homeless get a meal or simply a place to belong. 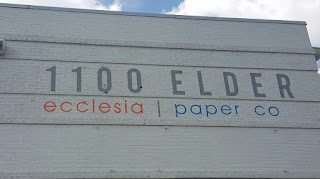 I arrived at 1100 Elder and walked around the building to try to take it all in and then went inside to get my fill. I grabbed a latte and walked the halls of the new building looking at the art on the walls, which I was glad to see as a carryover from the old space. The coffee beans are roasted in house, which is a huge plus. My latte was full flavored and really didn't require any sugar or flavoring to be the perfect cup of coffee, just what I needed on a Wednesday afternoon. For me, this coffee put the big-box stores to shame. I had already eaten, but I couldn't help myself from looking at the menu. The Nashville Hot Chicken and the Texas Burger caught my attention, among other fare on the menu. I will definitely have to return for lunch soon.